VitaNet’s mission is to make IoT device use more common among young and old people around the globe. This is best achieved by making IoT device safe and easy. Our software pairs state-of-the-art technology with a wide range of knowledge, merging security and usability. IoT device manufacturers who use VitaNet will see these improvements reflected in their products. VitaNet was originally founded in Japan as VitaNet KK in 2013. In April 2016, the company became a US corporation under the name VitaNet, Inc., headquartered in the Silicon Valley. The Japan-based operation is now known as VitaNet Japan KK, a 100% subsidiary to VitaNet, Inc. The name VitaNet comes from the Latin word “vita” which means “life.” This reflects VitaNet’s mission to focus first-and-foremost on users. “Net” represents all the devices that make up today’s hyper-connected world. Our goal is to improve access to the “Net” so people can focus more on how they live. VitaNet’s complete IoT platform solution makes this possible. Vita + Net = Better quality of life! Takeo began his professional career in Japan at Hitachi, Ltd. designing mainframe and super computer hardware. In 1994, he moved to the Silicon Valley to start a very successful chapter working at Apple, Netscape and led three pre-IPO start-up companies. This experience shaped him into a leader in the IT and Internet industries, specializing in product design, product marketing and sale and marketing progression. Takeo took his leadership skills back to Japan in 2004 to lead global teams at top-tier companies TATA Consultancy Services, Freescale and Continental Automotive. 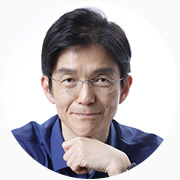 Takeo is now focusing his 20-plus year of experience on IoT development. Kenji Takeda, Prof., Dr. Eng. – CTO, Corundum Innovation Co. Ltd.
– Managing Director, Fukan Lab.